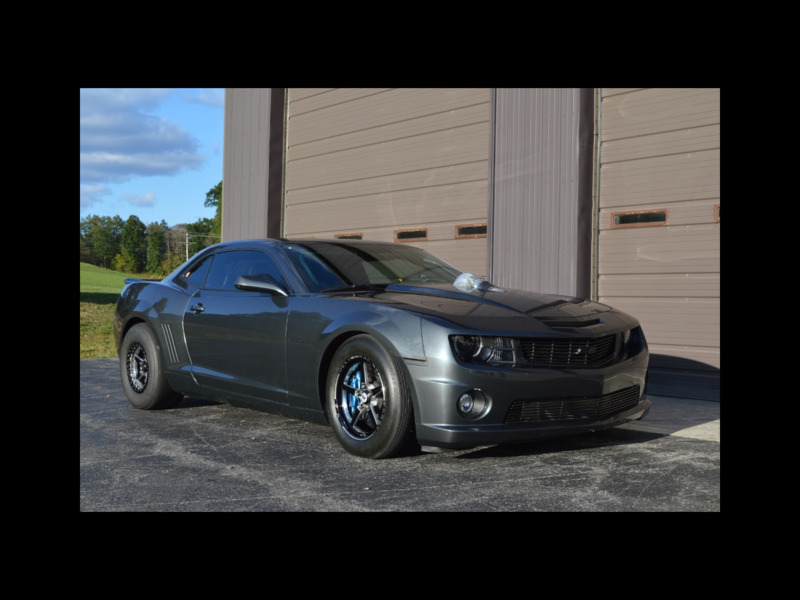 Used 2010 Chevrolet Camaro 427ci Twin Turbo 1500hp Drag Car for Sale in Indiana PA 15701 AutoSport Co.
2010 Camaro SS Professionally built Twin Turbo 427ci small tire Drag Car! This car has somewhere north of 1500hp!! There are many details to go over on this incredible Camaro. There are more details to come, including links to YouTube videos! The Video that has been linked to this car is a basic rundown if what has been done to this car. The video is a little older and the car has been modified even more since the then and there is nearly $250,000 invested into this amazing car. Please feel free to go onto YouTube and type in Darthemma Camaro. This car at one time held the world record. IPS Motorsports did most of the build and tune on this Camaro. This Camaro is streetable and can be driven on any street. Recently the engine has been rebuilt by the original builder of the engine, Bob Williams at All Pro. There are new heads on the engine as well. The transmission has been rebuilt as well by ATI, and then the rear end has been rebuilt by Winters Performance. Since all this work has been done there has been no passes in the car. It's ready to go turn key! Please feel free to call us at 814-977-9219 or email us with any questions. This car has been professionally built and modified, the factory options have been stripped, please ignore the added options below most of them do not apply.